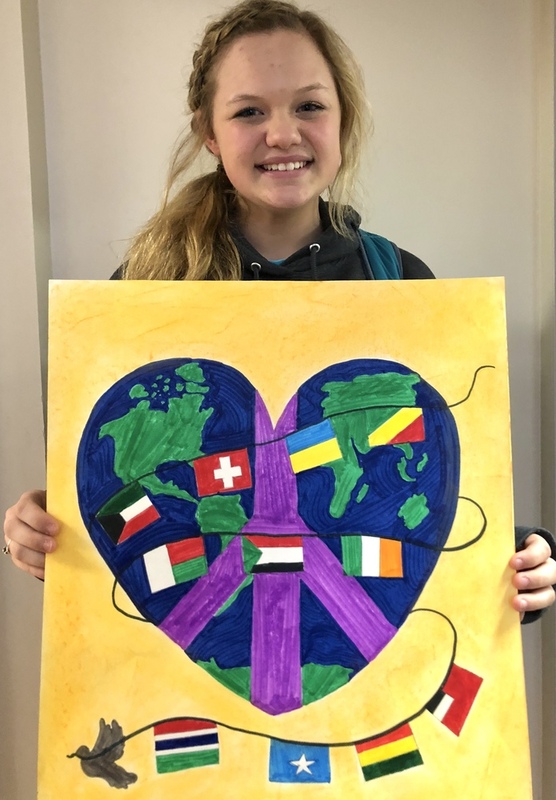 Eighth grader Olivia Williams was chosen to represent St. Joseph School in the 2018-2019 Lions Club International Peace Poster Contest which is locally sponsored by the Conway Evening Lions Club. This year's theme for the contest is "Kindness Matters." Ruby Jones was judged by the school to be the 2nd Place winner and Catie Brewer was 3rd. Each poster is judged on originality, artistic merit, and expression of theme. Olivia's poster moves on the the District Competition and beyond if it progresses. The International Grand Prize Winner, which will be determined early next year, will receive a $5,000 cash award and an engraved plaque.